Kentucky Farm Bureau members save 20% year-round at any Red Roof nationwide! Just use VP 622673 when booking to receive your discount. Red Roof® has over 500 properties across the United States and is growing internationally with 3 locations open in Brazil, 2 properties open in Japan, and others to follow in Thailand and Canada. The primary goal at Red Roof is to provide customers a savings without sacrificing comfort. Red Roof PLUS+® properties provide our guests with an upscale, enhanced experience with our NextGen® upgrades like modern furniture, flat-screen TVs, 36 HD channels, vessel sinks, wood-like floors, additional electrical outlets, a 100% smoke-free designation, Rest Suite beds by Serta®, high-end bedding, in-room red accent wall and renovated lobby featuring stone accent wall. Red Roof PLUS+® Premium rooms include a complimentary welcome snack box which contains bottled water, popcorn, orange juice, trail mix and two Nature Valley® granola bars. In-room coffee/tea, an iron and ironing board, mini-fridge, microwave, in-room communication, White plush, pillow top mattresses and Love Your Linens® bedding and an additional pillow are also included. You stay happy, pets stay FREE! We invite you to relax with your four-legged family member at over 500 locations. And, unlike other “pet friendly” hotels, there are no additional charges. Join the richest hotel loyalty program in the industry. 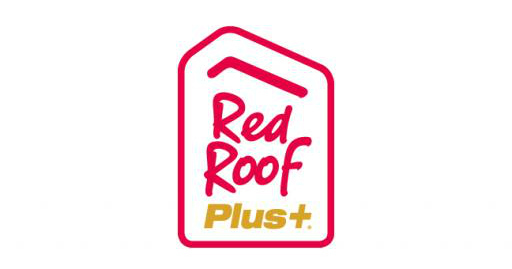 With RediCard®, you can gain 10 points per every dollar spent directly at Red Roof. You just need 7,000 points for a free night! You can also now use your RediCard points to shop online with our new RediCard catalogue, where you can purchase gift cards, merchandise, electronics and more!